For fans of American history, there’s no better place to visit than the Upper Cape. Settled 150 years before the American Revolution and home to the Wampanoag tribe millennia before that, it’s home to museums, historic houses, Pilgrim trading posts, and more. Below is a list of must-see landmarks, museums, and restaurants from Lorna Ciavola, the Information Center Specialist at the Cape Cod Canal Region Chamber of Commerce. 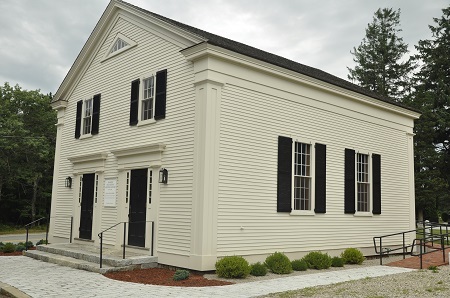 Begin the weekend with the Cape’s first residents at the Old Indian Meeting House in Mashpee. The Wampanoag tribe has made Cape Cod home since the Stone Age and is the only registered tribe in the area. The meeting house, which was built in 1670, has served as a church for them and been under Native American leadership and ministry for over four centuries. Cranberries have been a major part of the Cape’s industry since the late 1800s, so a good place for lunch is the A.D. Makepeace cranberry bog in Wareham. Pack a picnic or purchase some of the healthy treats available at their shop. Only 20 minutes down the road is the Bourne Aptucxet Trading Post Museum, the first place trade took place between Native American and the Pilgrims. The building is a faithful recreation of what was likely one of the first Pilgrim structures. In addition to the museum, for the 2019 season, check out the stunning hand-carved carousel being housed inside the Windmill Art Studio. In downtown Sandwich, the oldest town on Cape Cod, there’s The Dan’l Webster Inn, a historic restaurant and inn. The original building was destroyed in a fire in the 1970s but was rebuilt with beautiful grounds. Dine on steak and scallops for a reasonable price. It’s also a good option for accommodations, having been offering lodging to weary travelers for over 300 years. When the sun starts setting, take a walk through Sandwich’s Glass Town Cultural District to see historic landmarks like the Grist Mill, captain’s homes, and cemeteries. Beautiful houses built as early as 1647 look even more stunning at twilight, and are a perfect, relaxing way to end the day. The Heritage Gardens and Museum is having its 50th anniversary season, so to celebrate they’ve scattered 50 treasures throughout the grounds and museum that tell the museum’s story. 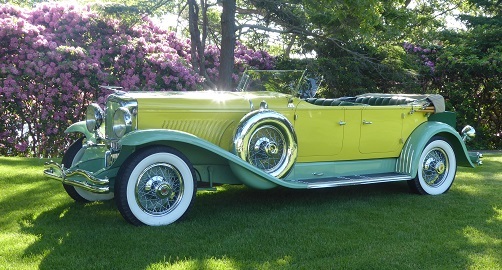 Check out the new “From Carriage to Classic: How Automobiles Changed America” exhibit to discover how cars evolved from horseless carriages to the streamlined staple of the American household it is today. Speaking of horses, be sure to get a ride on the beautiful 1908 Charles Looff Carousel, which has been thrilling riders for over 100 years. For a real treat, take afternoon tea at the Dunbar House Restaurant & Tea Room. Serving a fine selection of British teas, pies, scones, and other delicacies, it offers a cozy spot to relax and enjoy a traditional teatime. After lunch, make a beeline to the Sandwich Glass Museum for glass-blowing demonstrations. See stunning collections of blown glass bottles, sculptures, and more in the gallery. Watch demonstrations of molten glass, fresh from the furnace, molded and pressed into exquisite shapes. During each demo, a lucky member of the audience will be selected to press an actual piece of glass. Arrive by 3:30 pm to ensure you have time to see everything. Though perhaps not itself historic, Cape Cod has been a fishing community for centuries, so indulge in some seafood at The Pilot House Restaurant and Lounge to cap off the weekend.